The prep + prime set has 4 skin prep tools for your pre-makeup routine. 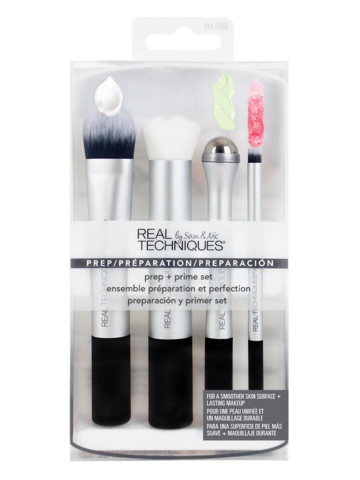 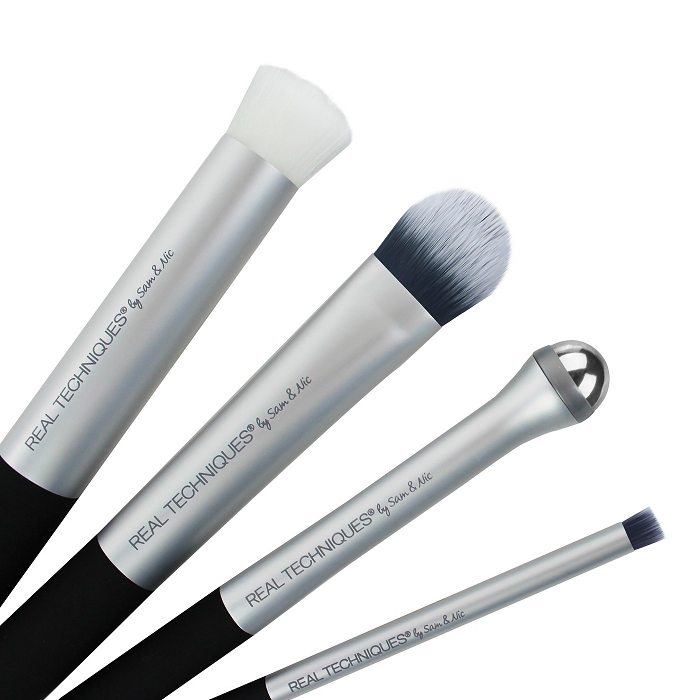 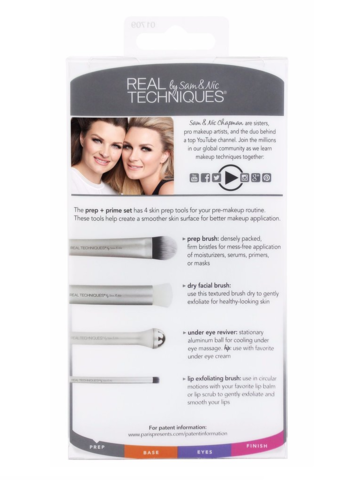 These tools help create a smoother skin surface for better makeup application. 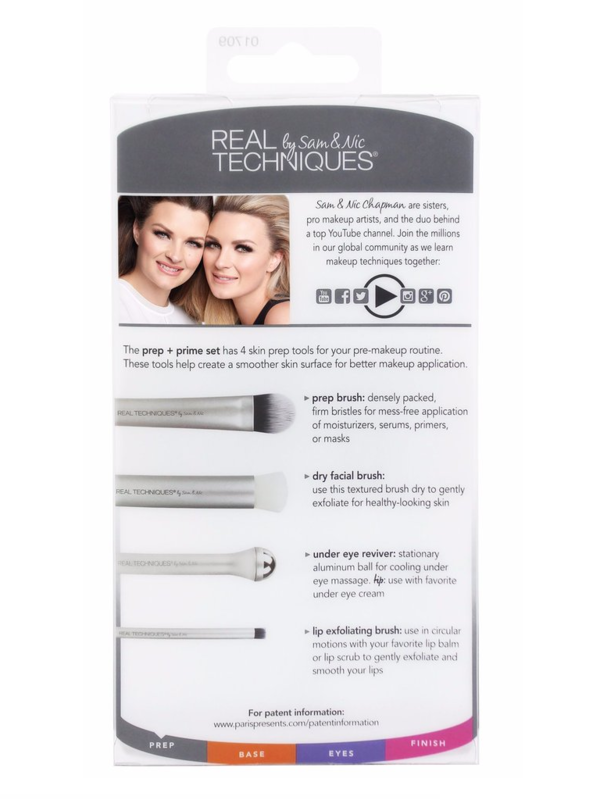 eye reviver: stationary aluminum ball for cooling under eye massage.